We would love to hear from any of our members who have been out and about taking part in Pony Club Competitions. Well done to Minchinhampton’s four competitors, Isla S, Isla, Esme and Clara, who took part in the Berkeley Hunt Triathlon held at Wycliffe College last Sunday. It was Esme’s first competition and Isla L’s second and both put in a fantastic performance across all three disciplines, but particularly in the running, to see them placed 5th and 6th respectively in their class, finishing with a team 6th. Clara had a good shoot and managed to keep a lead throughout her competition finishing in first place with a team 5th. Isla S, who moved up a class for the competition, also shot well and managed to finish in first position after a great run, with a team 3rd. Well done to everyone who took part. This was the first triathlon of the season with plenty more to come, so if you’d like to have a go please contact Sam Hunt, the Tetrathlon Manager and we will help with any information you need. Jannah took part as an individual at the PC Regional Show Jumping Championships – the weather was foul and Jannah did really well to survive the first round on the grass with only 1 pole down and then again only 1 pole down in the second round over a big course, with a couple of fences at 90cm. Well done Jannah and I hope you have dried out now! Well done to Hannah, Jannah, Esme & Aimee who represented our branch at the PC Regional Dressage Championships. The team came 6th out of over 30 teams, plus individual 6th for Hannah and 8th for Aimee in their sections and to top it all – 4th in tack & turnout! Our team for the competition in the main arena on Friday were ‘amazing’ and we were really proud that they were members of our branch. The team – Abbey, Daisy, Amelia and Meg were first team to jump and finished the first round on a zero score, they then jumped late in the afternoon and finished the second round on a score of 4 faults. There were 3 teams on 4 faults, which meant that there was a jump off for the first 3 places, our team was drawn last to jump which really increased the pressure. The team finished in 2nd place – what a fantastic result at one of the most prestigious competitions of the year! The 90cm team – Oli, Ellie & Betsy plus a member from the Radnor branch who joined us on the day, were first team to jump on Saturday morning, Oli did a fantastic clear round and the others all had unfortunate poles which meant they weren’t placed. In the 80cm team were Isla S, Isla L, Hannah & Livvy. Isla and Livvy both rode a great clear rounds but unfortunately no placings for the team this time. All members who represented our branch at Gatcombe rode really well and were a credit to the branch. The 70cm team for Area eventing comprised Isla L, Isla S and Jannah. All produced beautiful dressage tests and clear show jumping rounds. The cross country course proved punishing with few clears and many eliminations across all teams. No placings for Minchinhampton on this occasion but individual 6th for Isla S on Monty and 1st for Jannah on Blade. Two teams represented our branch at the Area Horse Trials which were hosted by the Beaufort Branch at Dauntsey, the 90cm team – Oli, Betsy, Ellie & Abbey did really well and were placed 8th as a team, Abbey was placed 3rd as an individual with a 30 dressage plus clear XC and SJ. All 4 of the 90 team were clear XC, over a course that was up to height with plenty of questions. The 100cm team of Amelia, Ella and Rio all finished with a few faults in either the SJ or XC but again really good that they completed all 3 phases and were a credit to our branch. The Novice Team of Ellie, Betsy, & Ruby were not placed but Ruby was first to go and lead the field for the whole competition to finish in 1st place and qualify for the National Championships at Cholmondeley Castle on 18th August – congratulations to Ruby and ‘Good Luck’ for the Champs! Well done to all involved for tolerating the heat and as usual with Area Dressage, a very long day! Due to concerns about the hard ground the Area Show Jumping was moved to Rectory Farm and split over 2 days, our Intermediate (100cm) Team – Abbey, Amelia, Ella & Meg jumped on the Friday, the team were not placed in the competition but came 3rd in the Tack & Turn Out Competition. On the Saturday we started early with the Novice (90cm)Team – Abbey, Ellie, Laura & Oli. Laura jumped a fantastic clear, the others had unfortunate poles each which meant that the team were not placed. The Grassroots Team – Hannah, Jannah, Lucy & Evie were late in the afternoon on Saturday and all rode really well, but again the team was not placed – Jannah rode a fantastic clear and has qualified for the Regional Show Jump Championships at Rectory Farm on Sunday 26th August. Firstly ‘well done’ to all the members who took part in this competition and to the mothers who got them there – it was a ‘baking hot’ day and boxes were parked quite a way from the arena, so a very tiring day for all. Our 90cm Team – Abbey, Ellie and Laura finished on a score of 8, Abbey and Ellie both had an unfortunate pole and Laura did a fantastic clear round,. This meant that they finished in the top 10 but rosettes only went to 6th place. 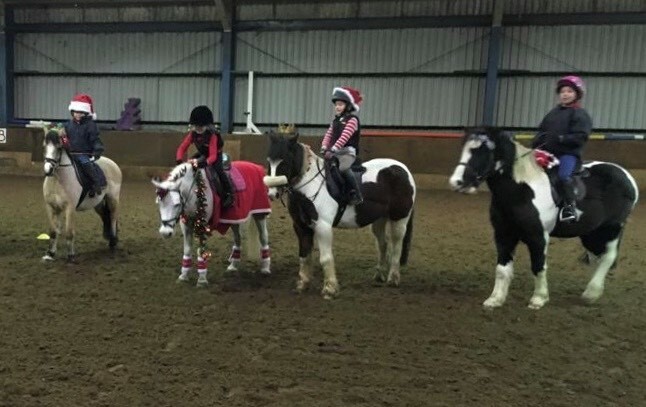 Our 100cm Team – Abbey, Ella, Amelia & Rio finished on a score of 24, but nobody was too worried as at least we all got to go home a bit earlier! A super successful day with the Minch kids doing us proud! Special mention to Poppy for a super confident ride on Jiggy and to Eloise and Jess for a very successful first ODE. Minchinhampton branch had 6 members competing at the Beaufort Pony Club Bowldown Show on 17th June. The conditions were tough, hard ground with light rain overnight led to a very slippery course which showed in the way it jumped. 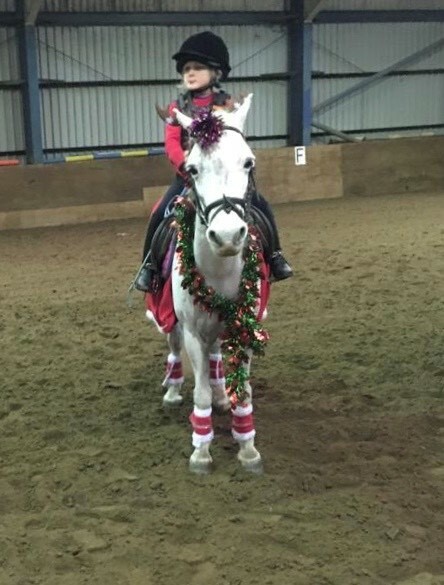 3 members – Jannah, Rosie and Becky competed in the 70cm all gathering faults therefore no placings, 4 members competed in the 80cm – Jannah, Rosie, Livvy and Laura, again a few faults resulting in no placings and 2 members compete in the 90cm – Laura and Anne. Laura was placed 6th, and they both came 2nd as part of a mixed team. Well done to everybody that took part. 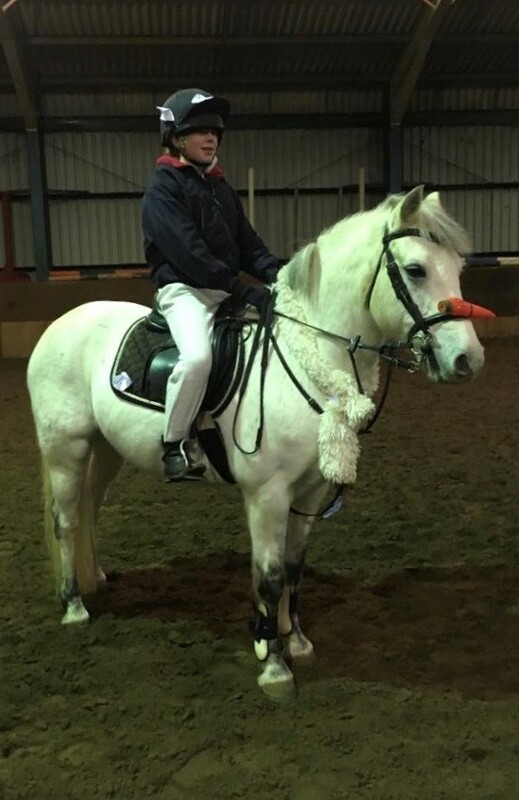 Poppy and Meredith competed in Class 1A achieving what they set out to – a happy fun filled morning with their ponies and a real confidence giver for future competitions. Well done girls! In Class 2A Livvy, Esme and Wilf had a super morning with their ponies. Livvy came 5th, Wilf 8th and Esme 9th as individuals which also gave them team 2nd. Clara also competed in Class 2B and did brilliantly coming first in her class and was also awarded Best Dressage. Well done all – it was a joy to watch you all compete confidently on your ponies. Class 3 saw a technically tougher XC than we’re used to seeing at Andoversford which saw it’s fair share of eliminations on the day. We entered two teams of three consisting of Hannah, Jannah, Rosie, Isla, Lucy and Ruby however it wasn’t to be a successful day for our teams. Huge congratulations to Lucy and Wombat for gaining 4th individual and to Hannah for a super dressage test with Penny which saw them awarded best dressage. Well done all! Class 3 saw a technically tougher XC than we’re used to seeing at Andoversford which saw it’s fair share of eliminations on the day. We entered two teams of three consisting of Hannah, Jannah, Rosie, Isla, Lucy and Ruby however it wasn’t to be a successful day for our teams. Huge congratulations to Lucy and Wombat for gaining 4th individual and to Hannah for a super dressage test with Penny which saw them awarded best dressage. Minchinhampton tetrathletes were again out in force at the Ledbury Tet which was held at Gadbury on 12th & 13th May. The team members all had a great time in fantastic weather and continued to have some great results at all levels against a large and very competitive field from Area 9 and Area 7. As expected of the Ledbury, the XC was a really good test – a hilly course for the 80 and 90cms with some quite tricky technical fences – lots of drops and combinations, particularly in the 90cms. Several of the Minch team scored the maximum 1400 ride – which was not guaranteed over the course. The run was on the same course so there was a steep drag up at the start of the run making it quite challenging. In the Beanies, Jasper was 3rd and Freddie was 2nd with Freddie also taking the best run. The boys also made up a mixed team that were 2nd. In the Tadpoles, Clara was 1st – a fantastic result and as was in a mixed team that were placed 6th. In the Mini girls, Isla was 3rd individually and also achieved best run. The Minchinhampton team was also made up of Martha and Becky, sadly, on this occasion the team were not placed but all enjoyed the event and with particularly strong runs will soon be getting team placings. In the Junior boys, Ollie was 4th individually and team 4th in a mixed team. A great weekend – well done to the Minch Tet team and the parents for sticking out a long weekend! Minchinhampton had Teams representing the branch in 2 classes at the Ledbury Hunt Team SJ at Hartbury on 7th May – on what turned out to be an incredibly hot day! In Class 1 we were represented by Ella, Tabitha, Meredith and Wilf. For all the children it was their first team competition and their camaraderie and team spirit shone throughout. The team came 2nd with Wilf getting individual 5th and Ella individual 6th both with double clears qualifying them for the Area Championships. We also had 2 teams in Class 3: Lucy, Lucy and Ruby in one team and Isla, Isla and Evie in another. 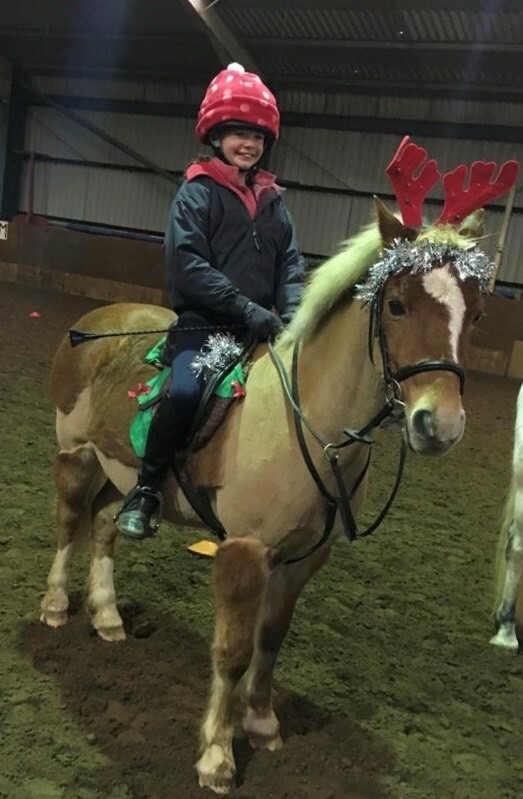 By the the time it got to class 3 the heat was scorching and both riders and horses were really feeling it, there was some excellent riding but a few poles and refusals between the 6 girls meant there were no placing this time. Well done to all who took part. Both teams were very enthusiastic and made a huge effort to be immaculately turned out, the Merlins were placed 8th and the Monkeys were placed 12th. It was really fun day – well done to everyone who took part and to their parents for getting them there. We had a great few days at Pontispool and despite the weather members were able to get out onto the XC course, we were also allowed to used their all weather gallops which gave members a chance gallop their horses and ponies in a safe environment and for some, the opportunity to test their knowledge of what speed they were actually doing. This is a very social camp with members attending from Beaufort, North Cotswold, Berkeley and North Hereford branches and it’s great fun for both parents and members, the dates for 2019 will be Tues 9th to Thurs 11th April. Our members had a great day at the Combined Training at Jackbarrow and it was in the sunshine!! Well done to you all. In Class 1 (60cm) Esme was 1st and Katie was 7th. Also well done to Isla who took part in the National Triathlon Championships on 18th March at Milton Keynes, it was a very cold and snowy day but Isla and her mother made the effort to get there, competed in the freezing conditions and Isla was placed 34th overall – which is a fantastic result at a National Competition. Despite it being half term and many away skiing, a few Minchinhampton members represented the branch at this event. It was a bitterly cold day but that didn’t deter from great riding from everyone competing and some great rounds from Ollie, Ella, Daisy and Amelia. There were individual successes with Daisy taking 1st in the 95cm and 3rd in 1.05m whilst Amelia came 9th in 1.05 m. Well done to everyone and as always, a great team spirit.